1. Don't let your space go to waste. Monetise it. As you know as well as anybody, space is becoming more expensive. At the same time, many companies have a surplus of properties due to digitalization or flexible workers. Don't let the excess space go to waste. Empty space is money gone to waste. Instead, monetise it: allow freelancers, consultants and employees from other companies to work in your office space. Allowing start-ups and creative minds to work in your office spaces is a win-win situation. 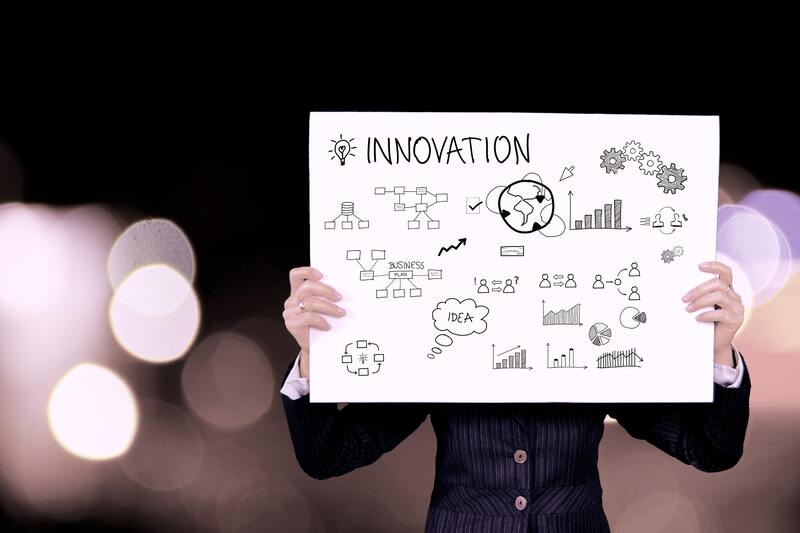 Engaging with innovators has become critical for survival in a constantly changing environment. By creating coworking spaces for startups and innovators, you as a company can tap into exciting innovation and solve lingering problems. For start-ups, attaching themselves to a big company provides them with access to resources, legitimacy, and the scope they need to scale-up their businesses. By sharing offices, your employees connect with people from different sectors and with different backgrounds, which inevitably leads to exchanging ideas and knowledge, new forms of thinking, different kind of solutions and valuable processes that drive your company forward. Have you seen our new offices yet? The younger generations often opt for shared office spaces, because they fit their needs more properly for different reasons. They are less expensive to rent, for instance, which makes them ideal for young businesses and startups with a small budget. Secondly, these spaces imply less commitment, which is a must when your needs change often. Thirdly, Gen Z loves to network, something they value even more than any older generation. And last but not least, these office spaces offer opportunities to leave classic corporate hierarchies behind. Corporations are forced to be much more flexible than they used to. Geopolitical uncertainty, market and economic volatility, technological evolutions, and an increasing focus on environmental and security risks, means that only those companies that know how to adapt quickly & constantly will survive. 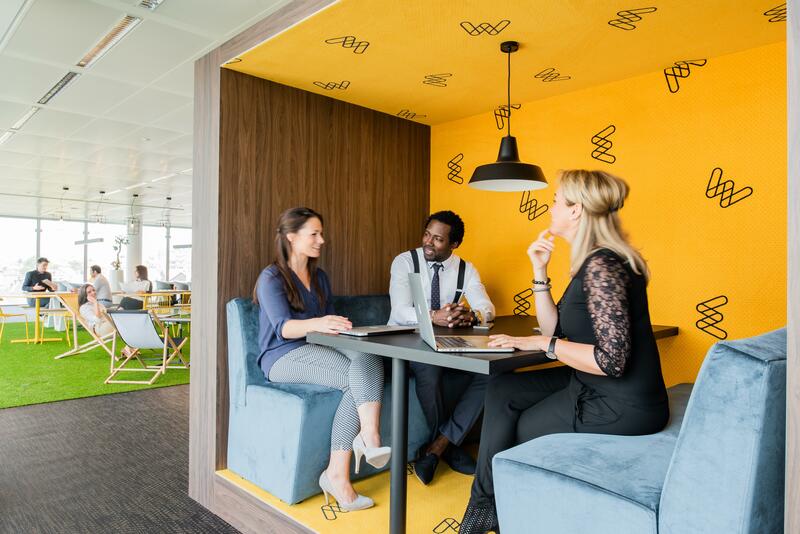 Office sharing allows companies to attract project-based talent, to foster creativity and problem-solving, to alleviate skills gaps, to reduce office costs and to increase innovation. Pretty bold statement. But it's true. By allowing your and other employees to work closer to home, there'll be less cars in traffic and more happy faces in the office. On top of that you'll have a positive impact on the environment. A sustainable attitude is essential for companies in today’s society. Commuting is considered a loss for the environment, something especially young employees can’t stand. Office sharing allows employees to work close to home, and is thus a great asset for attracting young potentials. Communal spaces help elevate what matters in today’s society. Not only do they stir innovation, they also offer affordable space to entrepreneurs and solve mobility issues. On top of that, coworking spaces have the ability to breathe new life into overlooked parts of cities, reshaping and recreating them. So, here you go: 7 solid reasons for you to open up your company and make money while doing so. We'd love to hear from you soon. Get in touch with us if you're ready for innovation and space optimazition.